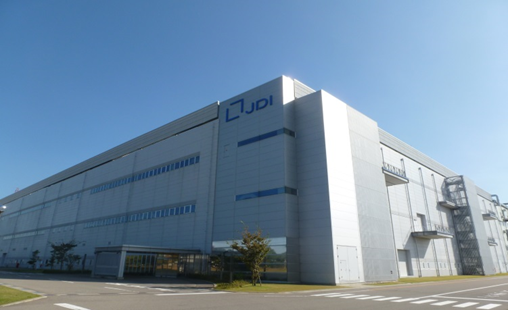 Japan Display Co., Ltd. (JDI), has today announced the mass production start of low temperature poly-silicon (LTPS) liquid crystal displays (LCDs) for automotive applications, using glass fabricated in JDI's Ishikawa Plant in Ishikawa, Japan. The automotive display market is estimated to maintain a high growth rate of approximately 10% per year, higher than the growth rate of the automotive vehicle market, primarily due to the increasing number of displays installed per vehicle, as well as due to the expansion of autonomous driving and the emerging electric vehicle (EV) market. In order to respond to the growing market and the demands for high definition and high value-add displays, JDI has started manufacturing LTPS LCDs for the automotive display market in its Ishikawa Plant. These days the automotive industry is developing connected cars and commercializing advanced driver assist system (ADAS) vehicles, which need high performance automotive displays to realize these requirements. Connected cars will have an always-on internet connection, and will receive a variety of data from the sensors in the car that will be analyzed through the network to improve driving safety, traffic navigation, vehicle diagnosis, etc. It is expected that connected cars will analyze an enormous amount of collected date and will apply this data towards safe driving support services and insurance services. In such a connected car, a high definition display with touch panel functionality is key to enabling an effective man-machine interface that integrates with and communicates with these always-on mobile networks and other devices, like smartphones and tablet PCs. JDI is also working on the development of displays for automotive mirror applications, which display the surrounding circumstances outside of the car at convenient positions in the vehicle for the driver. These displays utilize the narrow frame design of LTPS technology and are a good example of displays that can support the growing trend towards ADAS-enabled vehicles. It should also be noted that LTPS displays, with their simple structure and integrated drive electronics, can enable new vehicle styling designs, such as curved displays and/or non-rectangular, shaped displays. JDI is committed to continuously offering and promoting high performance, highly reliable LCDs that meet the increasingly diversified requirements for cutting-edge automotive displays, and supplying them to the global market.